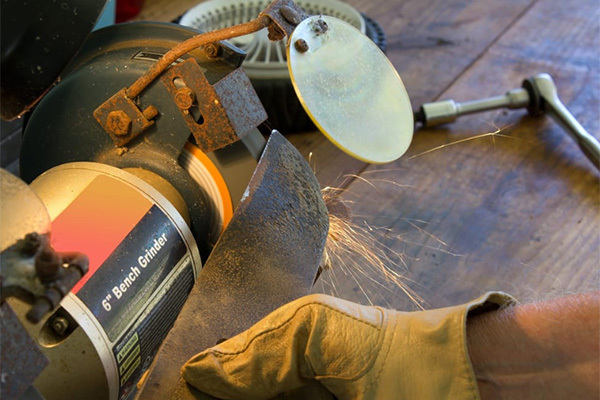 When should you sharpen your lawnmower blades? Unless your lawnmower blades have dents or chips in them, sharpening should be preferred to replacement. While there are tools where you can sharpen them yourself, inexperience can cause further damage. A professional should be used to restore your lawnmower blades as close to new as possible. At Robbinsdale Marine, we are experts at blade sharpening. Many of our business comes from repeat clients who depend on our service. If you want the job done right, contact us at 763-533-0300 or visit our blade sharpening page for more information.